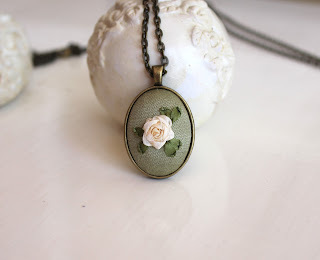 The online Dimensional Daisies Class I am teaching via Maureen's Vintage Acquisitions is only two days away. The three weeks' class starts on Saturday, September 15. 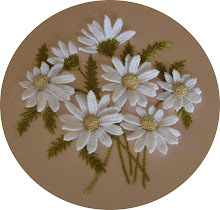 We are going to work together on two designs: the daisy bouquet you can see in the picture below and a revised version of my previous daisy wreath design. Many thanks to all the ladies who decided to join me on this adventure! 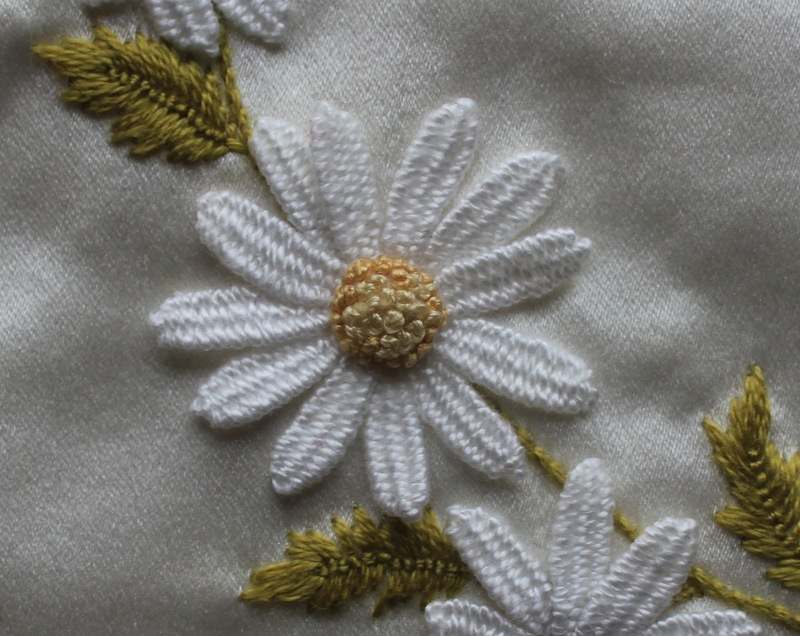 I am really looking forward to meeting you and having fun embroidering together. To sign up for the class, please visit Maureen's Vintage Acquisitions, Online Crazy Quilt Classes and also check out the other great classes offered through her store. Coming back after a long, way too long summer break, I would like to celebrate with another giveaway. Will you join me for a little game? 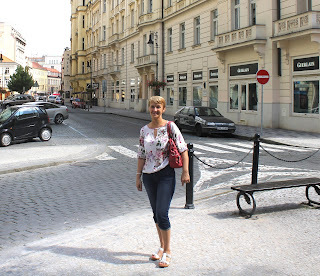 A couple of weeks ago my husband took me along on one of his business trips, to spend a weekend in Prague, just us two. 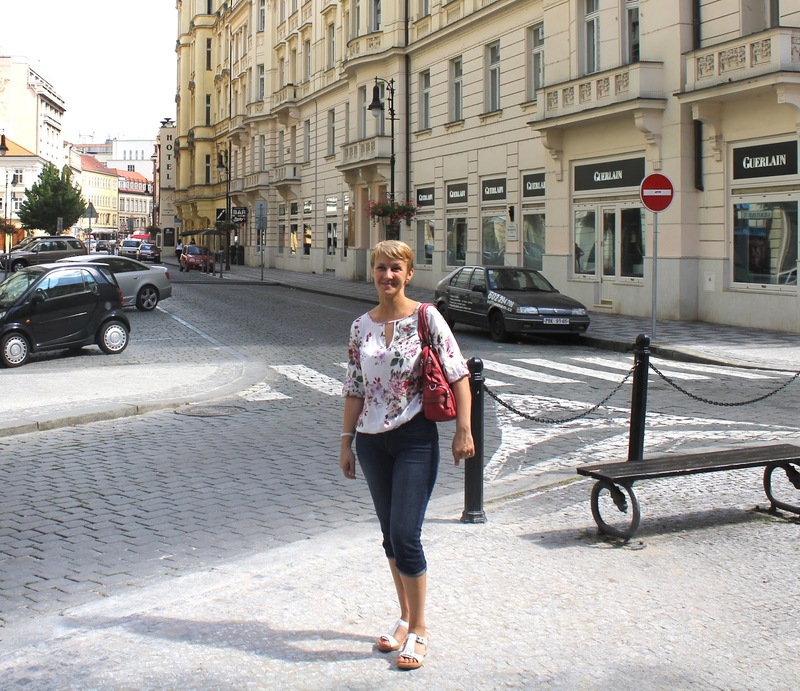 I was only too happy to go and we had a great time discovering the wonderful city of Prague! 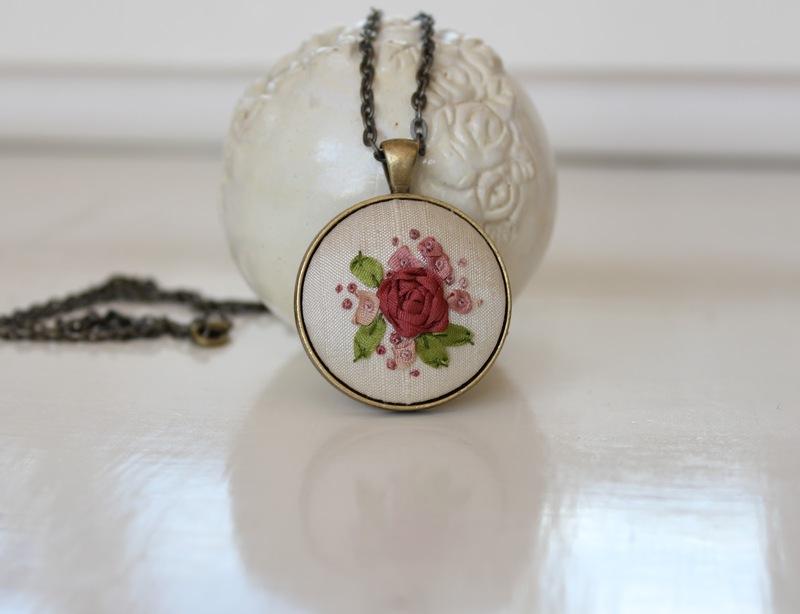 So, to win either one, or even both of these pendants, all you have to do is look into my eyes, check out my smile and answer my question, choosing one of the three answers. Please make sure that your comment links back to an active e-mail address. Have fun and good luck to all who will play this little game with me!